Below you’ll find the visual version of our chat. Our Facebook Live episode feed goes out every Monday through the Green Men – Official Page. Ian McIntosh talks 1,600 foot fall, wing suiting, base jumping and more. Dude is a crazy man and we love it! *You may have ‘Like’ the Green Men Facebook page to watch broadcast – it’s worth it! 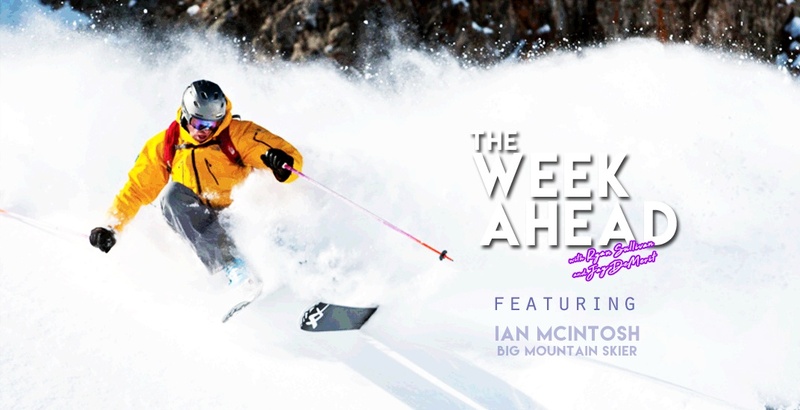 Below you’ll find the the segment Ian McIntosh did with Vice Sports. The man insanely leaps off the edge of the Stawamus Chief in Squamish. The footage is surreal. Enjoy! Following our chat with Ian, we dove straight into our Indochino Headlines segment where of course we chatted some NHL trade deadline, our Jackass of the Week and much more! It wasn’t even a contest this week after Zaza’s “Oops, I fell over” on Russell Westbrook. He’s a repeat offender and dirty play is sickening the nation. So, with ease, he took the crown of this episode’s ‘Jackass of the Week’. Following our chat about why the man was named the “Jackass”, things took a turn to Whitecaps FC. With their home opener fast approaching on Sunday, it feels like there’s some uncertainty in the air surrounding centre back Tim Parker. While Jay, Ian and I agree that the Caps have the best one-two punch on the back end, the team seems keen on making a move and breaking up the dynamic duo. Of course, this is just hearsay, but with the addition of Jose Aja out of Orlando last week, a future deal looks likely. 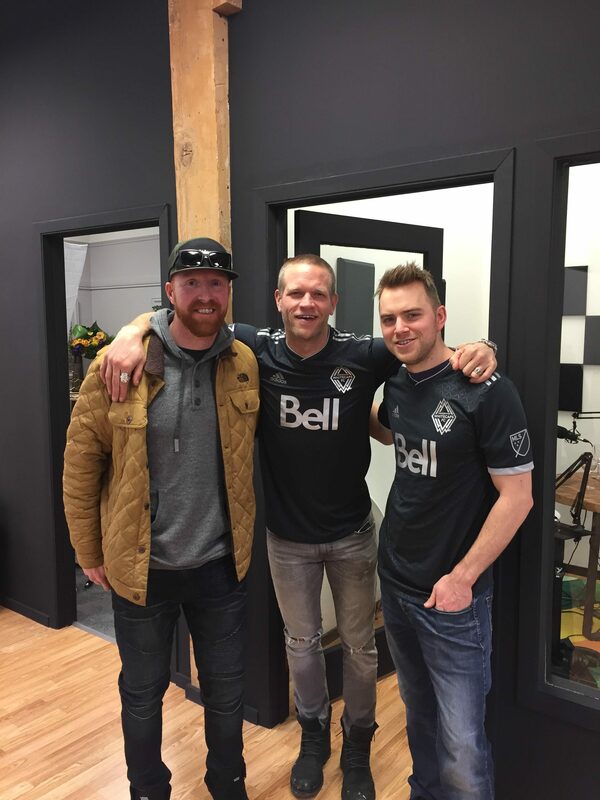 While we chatted Tim Parker, we also took the opportunity to display the Whitecaps new ‘Unity’ jersey. The fit is immaculate and the look is as slick as ever. We gave the jerseys a great review a few episodes back and they’re even better in-person. The Caps are going to be looking the part this season, hands down! After our Headlines segment, we chatted every single big game coming up this week across the board in the world of sports. So, if you’re just looking for some good TV watching, maybe fast-forward to around the 50:00 mark. Here is our iTunes podcast below. You can now listen to The Week Ahead wherever and whenever. 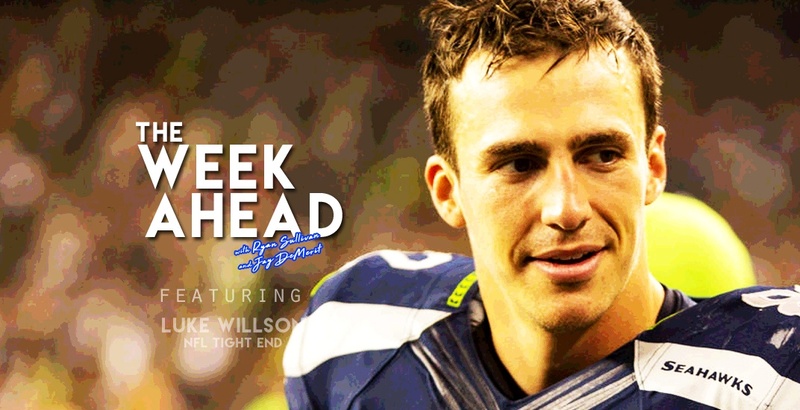 BTW, did you miss our last episode with Canadian NFL free agent Luke Willson? No problem, here that is. It’s also available for Android, Google Play, iHeart Radio and other devices.